“Sal was very responsive and interested in filling our needs and not just selling us a product. Great follow up throughout and everything was performed on schedule. The installation crew did a great job and everything looks great. 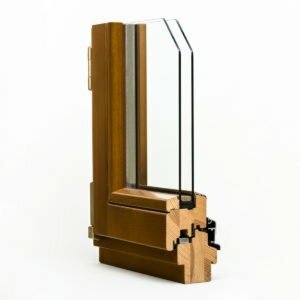 Every type of window offers pros and cons, depending on the materials used in its frame, and wood windows are no different. They are easy to paint or stain, making it simple to ensure they complement the exterior of your home. Wood can be milled into an unlimited variety of shapes and sizes, and it’s very attractive. On the flip side, they are more expensive than vinyl or fiberglass windows, and require maintenance to last indefinitely. Without regular care–especially in a dry climate like Phoenix–they will not last. Did you know fiberglass and composite windows insulate against heat better than all other types of windows, including wood? They’re worth considering. Wood windows that haven’t been properly maintained and should be replaced will show signs of extensive wood damage or rot in its frame, be difficult to open or close, and may have easily fogged glass. If you see these signs of deterioration, call DunRite for a replacement estimate today!